September has been a topsy turvy month weather wise. Quite cool the first 2 weeks, and July-like temperatures the 2nd half of the month. 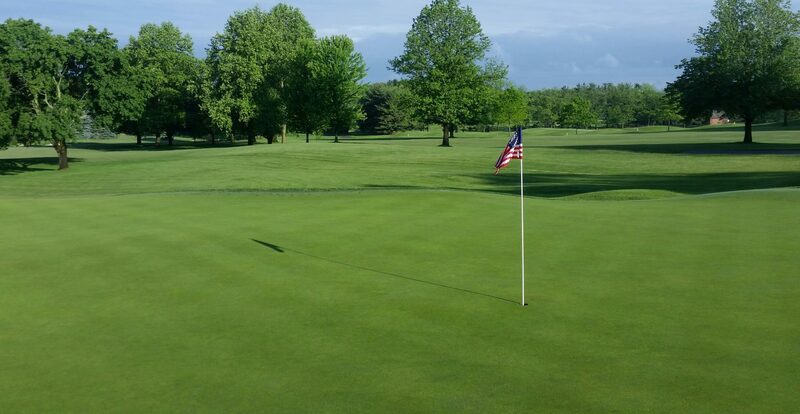 The heat that has been in our area has produced some high growth rates in our greens, tees, and fairways. 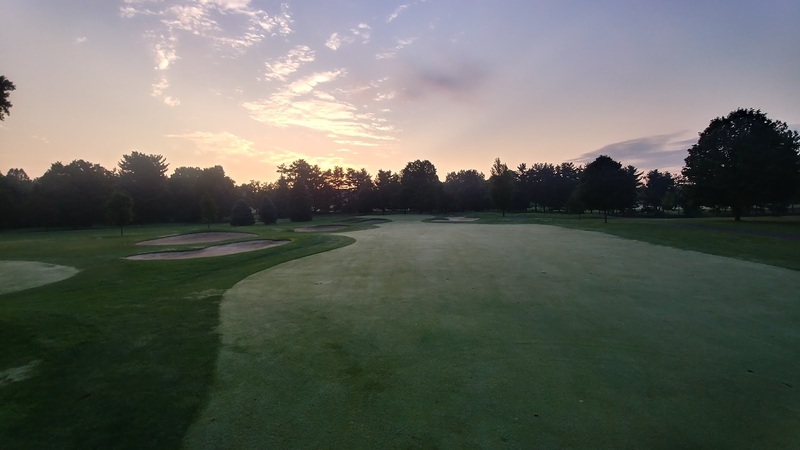 We have verticut all of these areas within the last 10 days to reduce the amount of leaf matter and applied additional growth regulator, which will return these surfaces to more normal playing conditions. 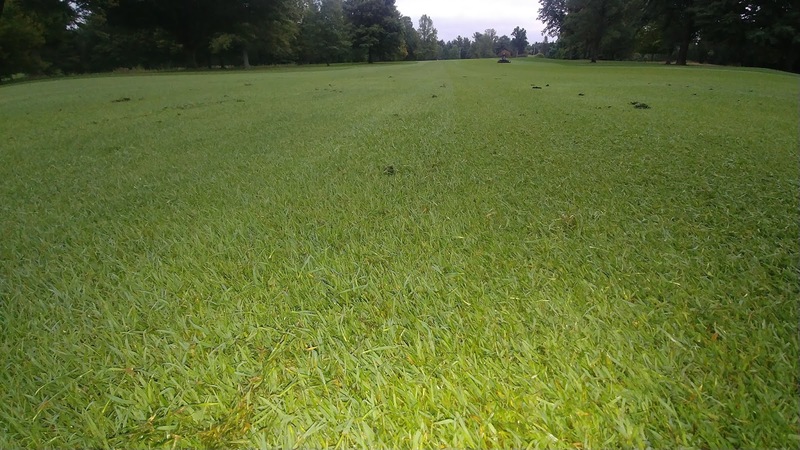 Besides cutting lateral growing turf and removing thatch, the verticut helps stand the turf up for regular mowers to achieve a more consistent playing surface. One constant throughout the month has been the lack of rainfall. Only on September 19th did we have a rain event producing greater than .10” of rainfall. Needless to say, it is dry out there, which you can see by what the grass looks in some non-irrigated areas. Here’s to October bringing our area a good soaking rain! verticut and the soil will be re-introduced into the profile. The greens will then be topped off with new sand to finish filling the holes. 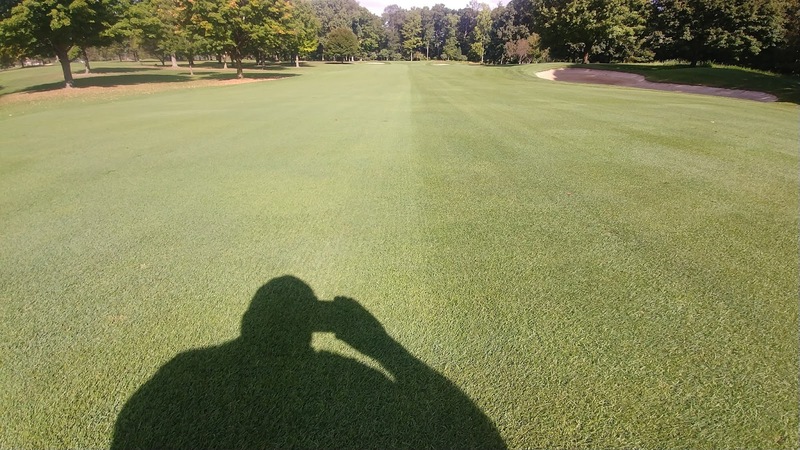 Fairways will be aerified the week of October 9th, using a solid ½” tine. There will be no plugs being brought up, which is how we aerify them in the spring. 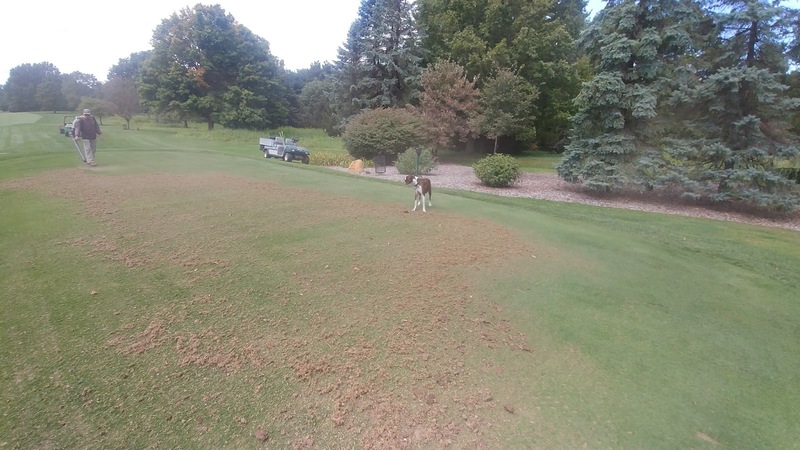 While a short term inconvenience to ball roll and playability, aerification is the foundation of proper soil and turf health and a critical component of any agronomic program. Thank you for your patience and understanding during this busy and quite necessary time in our maintenance schedule! 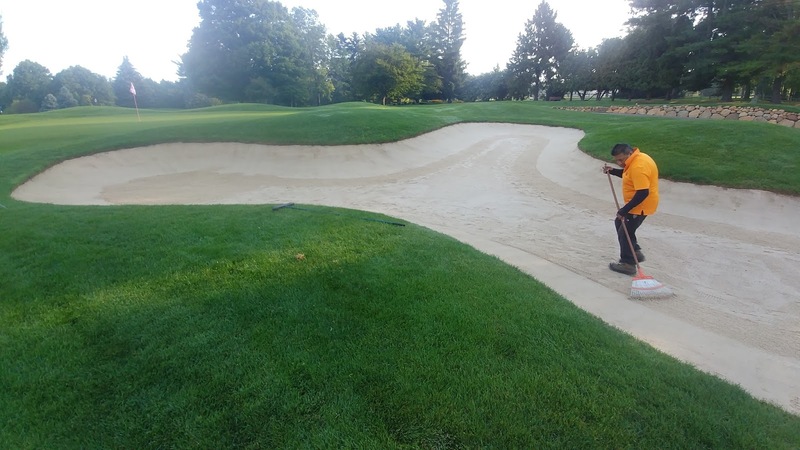 The picture on the right is unfortunately becoming more evident each morning when we are raking bunkers. This was noticed on a Saturday morning, footprints right next to a bunker rake. 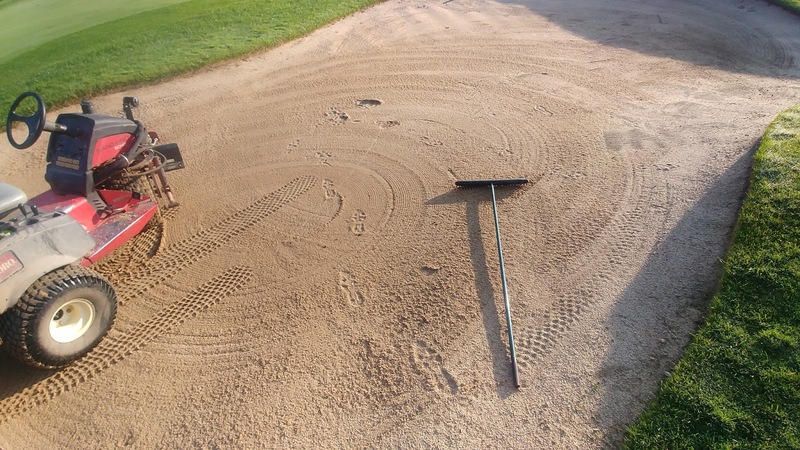 Out of respect for your fellow members, please rake the bunkers after you hit out of them. Thank you for your cooperation. Our staff has been expanding the Aussie ring around the bunkers in a further attempt to increase playability. 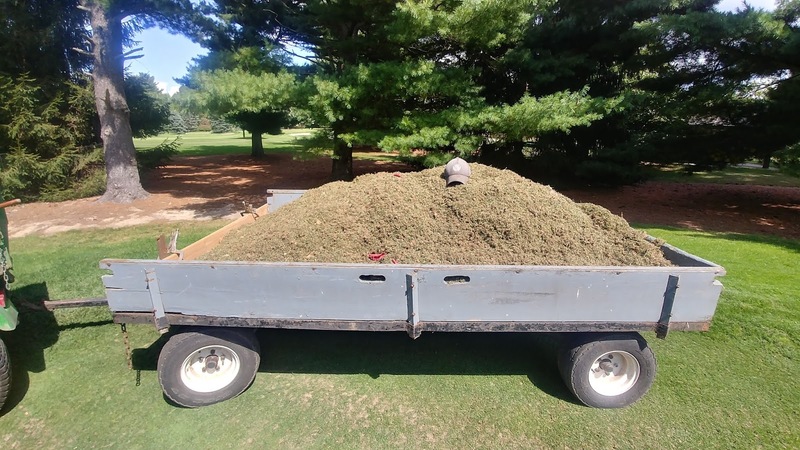 For the most part we have received positive feedback with this short term change in maintenance, and will be utilizing the plate compactor method I wrote about here in all greenside bunkers next spring. Skunk digging has been evident is some green surrounds, like this area to the left of 3 green. The skunks are looking for a tasty meal of grubs. 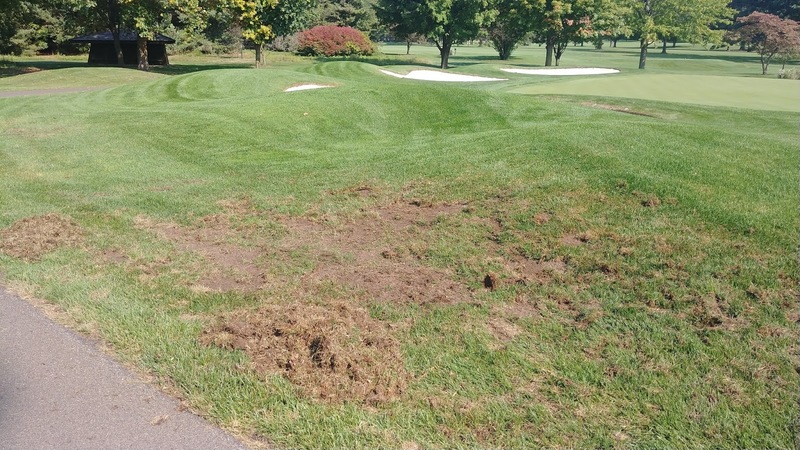 These areas are repaired, seeded, and a curative insecticide is applied to take care of any white grubs that are present. These areas are considered ground under repair, and the digging usually subsides later this month. 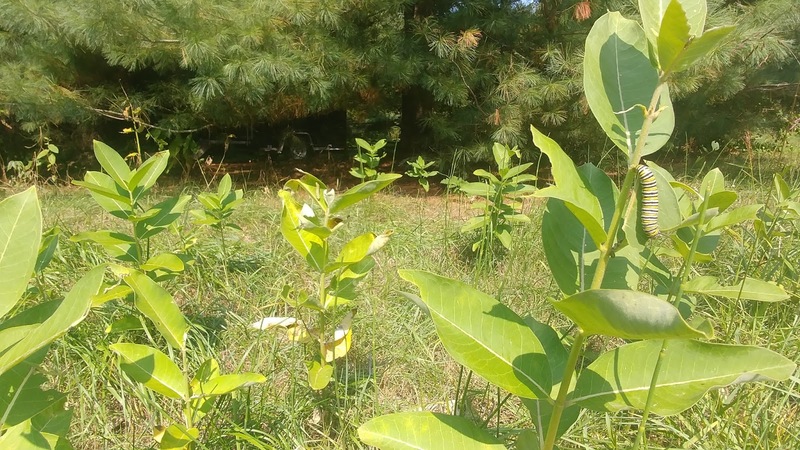 The milkweed we left in the native areas was well utilized by the visiting Monarch butterflies last month. Milkweed is the sole host plant for the monarch caterpillar and is critical for completing their life cycle. 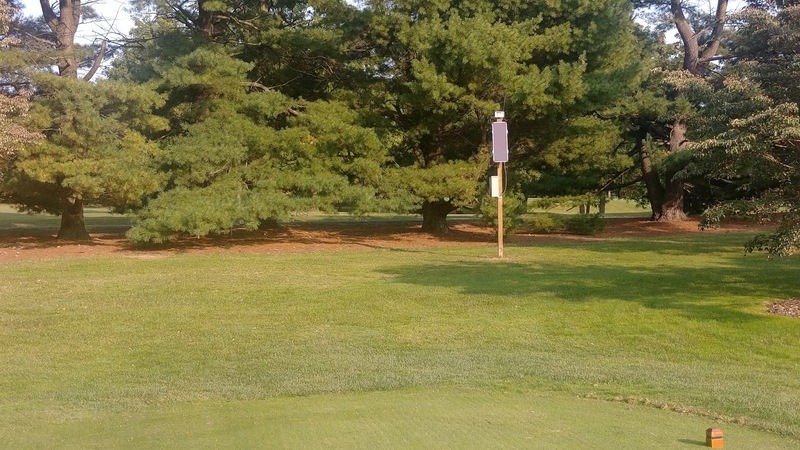 Creating additional habitats such as this one right of 16 fairway is a simple way we can help these pollinating insects thrive and contribute to the benefit of our local ecosystem. If you have any questions, please contact me at ryan@elconacc.com. Thank you, and I’ll see you out on the golf course!